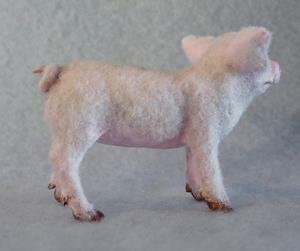 Moving on to barnyard animals for a little while! 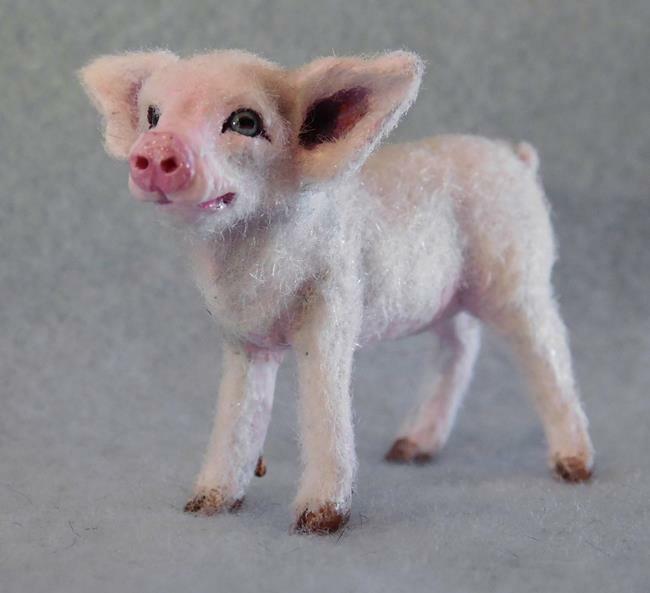 I created this little pig with the image of one I grew up with in my teens. I went with my parents to pick out a piglet, I was the designated person to hold the pig who was put into a burlap bag. Poor little guy was pretty mad, he bit me as many times as he could on the long ride home...and as much as I love all animals, our particular relationship went downhill from there. I grew up a farm girl...let's just say that I enjoyed him more on the flip side! 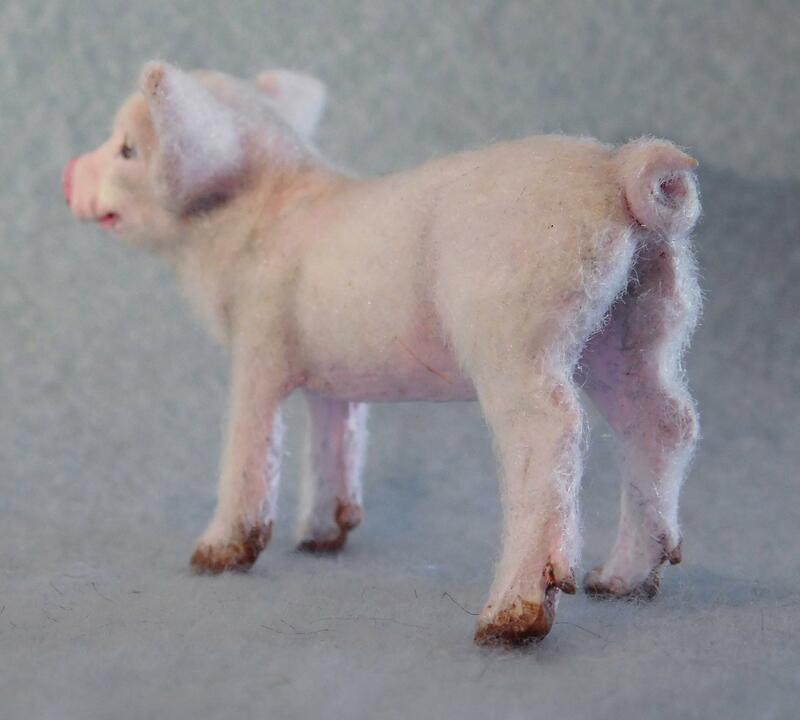 This little guy was carefully sculpted in polymer clay, painted in detail with acrylics then I hand cut alpaca flocking and applied it to all areas where a pig would have a thin bristley coat. I made his eyes in a separate process and cured them into the sculpture. They give him a lifelike appearance. The new owner will receive an original digitally signed certificate of authenticity that may be verified through the ebsq site. 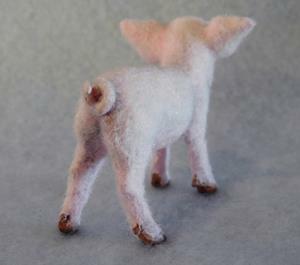 This would make a great addition to your original dollhouse or farm scene collection!